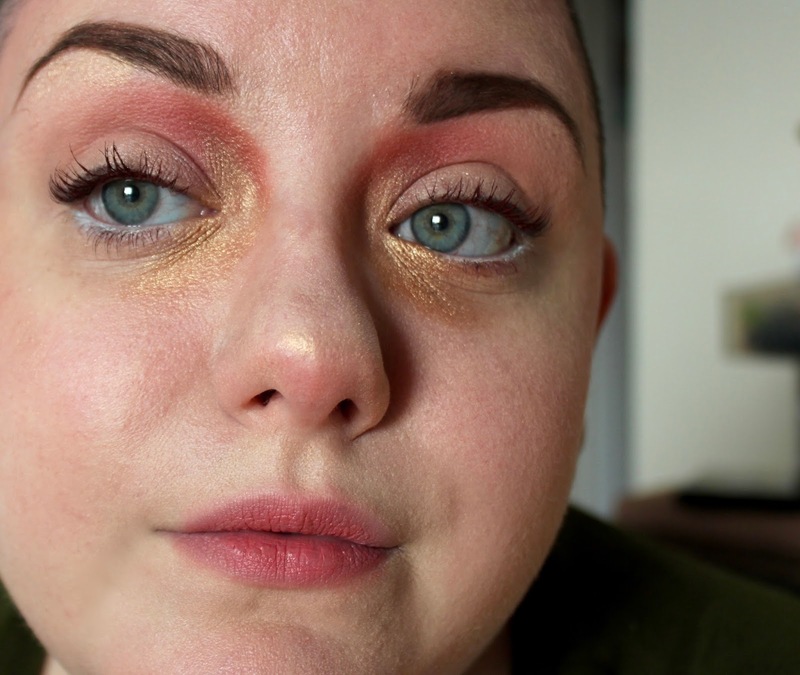 Two colors that I always gravitate towards in makeup are pink and gold. 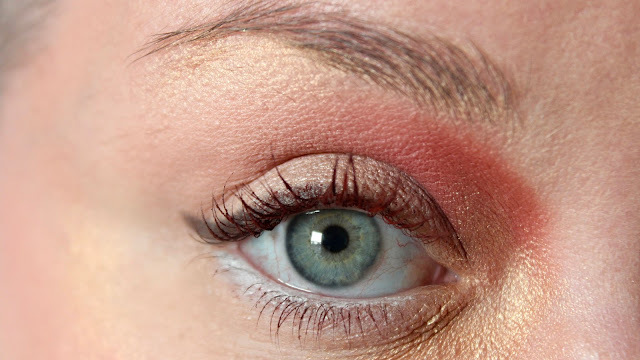 In today’s post, I decided to combine them to create a warm look, perfect for Valentine’s Day. 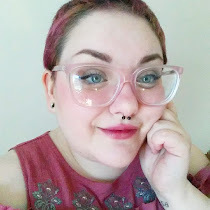 It’s a very blush-heavy look, as I use it not only for the cheeks, but also the eyeshadow. I focused around the inner corner of the eyes, a trend that is very in this year. 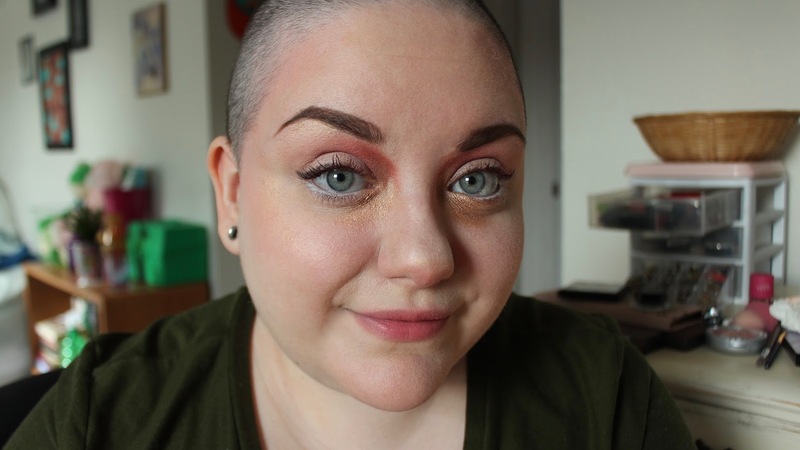 Using only a few supplies, this is an easy and pretty look to create. 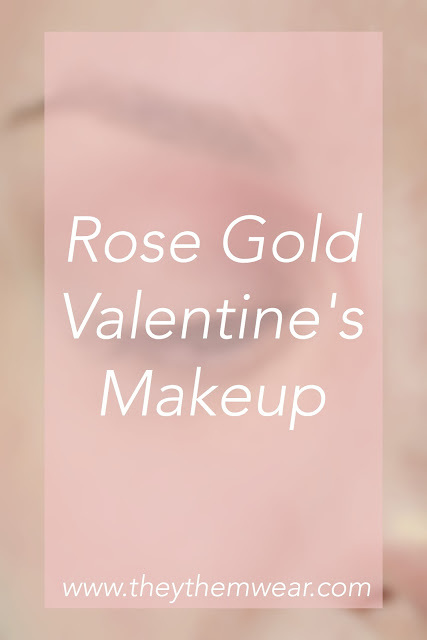 Instead of contouring, we’re going in with a dark rose pink blush above the cheekbones and on the temples, blending out well into the skin. 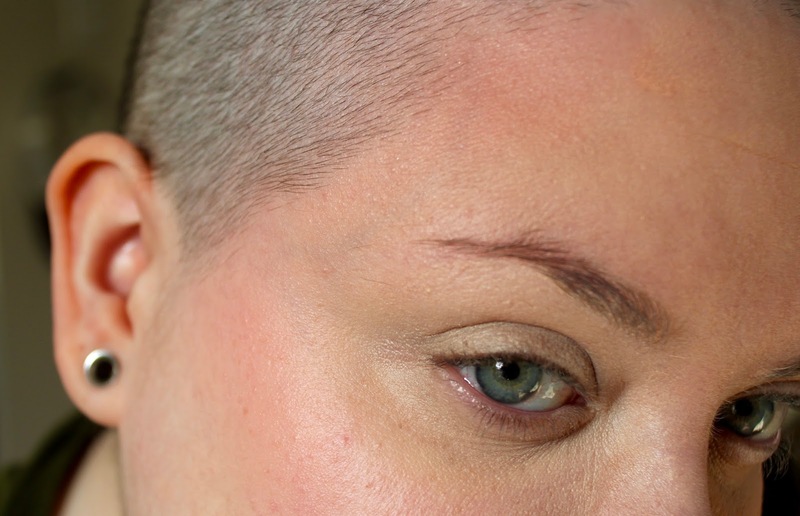 I find that every time I do this it warms my face up and gives me a bit of a summery glow. 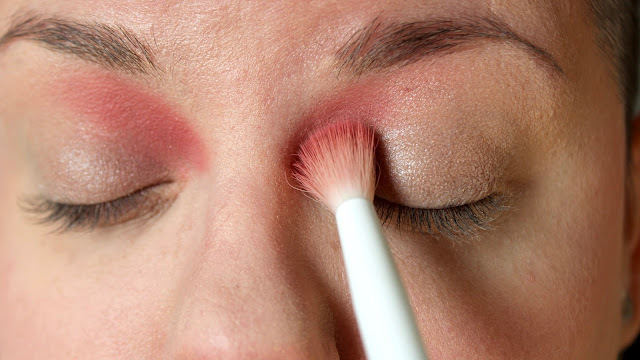 On the lids I’m using a soft, slightly pearly pink eyeshadow all over, as well as to blend out the darker pink. 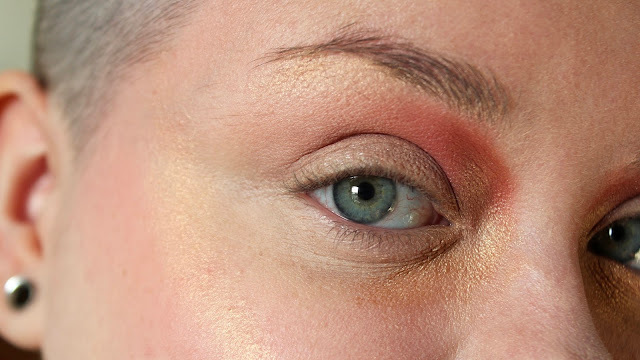 For the darker pink, we’re going in with that same blush in the inner corner, and lightly fading out as we work our way upwards. I’m adding a darker, redder pink in the inner corner and blending it out, kind of like what one would typically do in the crease. I like to think of this as a backwards eye look because of that. I’m going in with my gold- the infamous shade Half Baked from the Urban Decay Naked Palette- on the bottom half of the inner corner and working downwards. This color is still a personal favorite of mine that I use in countless looks. After that, I’ll throw on some golden highlighter, mostly above the blush and on the tip of my nose. 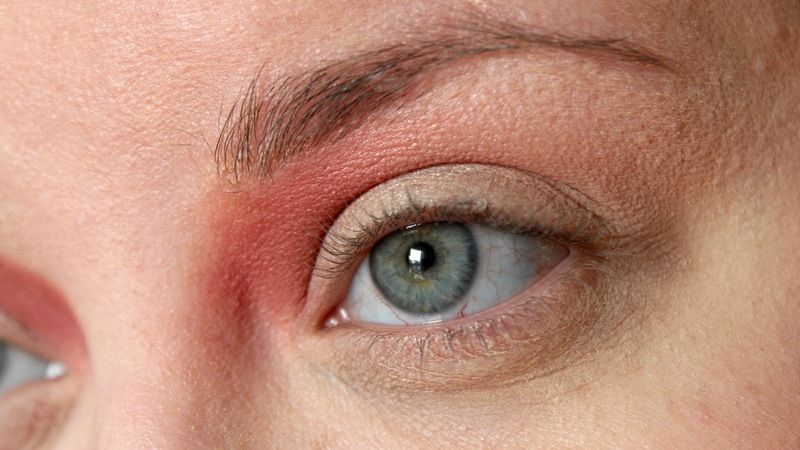 I’ll follow that with a little wing in a soft grey or brown color, and apply some dark red mascara to my lashes. 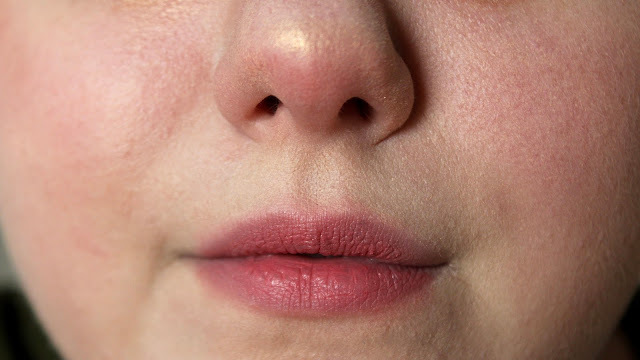 For the lips, I’ll take the NYX lipstick in the shade Tea Rose, and blend it out with my finger, giving it a soft and matte texture.